There is, it has been said, no pro like an old pro. In our country, there is no old political pro like Brian Mulroney. Watching him surf the waves of well-deserved applause and, yes, easy schmaltz from 700 Montrealers gathered for a St. Patrick’s luncheon last week helped in understanding why. The Boy from Baie Comeau turns 80 on Wednesday. 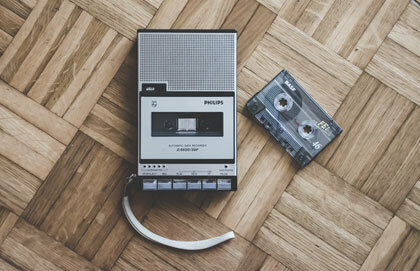 Yet last week, tilting his face upward to the light and letting the leftover energy of that jaw-bone rattling voice rise from his chest, he was once again in his heydays of the 1980s and early 1990s. A child born the day Brian Mulroney left office will turn 26 at the end of June this year. He was Canada’s 18th Prime Minister. Justin Trudeau is its 23rd. That’s a greater gap in years (and number of prime ministers) than elapsed between William Lyon Mackenzie King’s final term after the Second World War and Pierre Elliott Trudeau’s first in the anti-war 1960s. Nor does Mulroney, as was once so famously said of the elder Trudeau, haunt us still. He does remind us that history is a far more powerful force of judgement than fashionability. In fact, he spent an epoch or two in his St. Patrick’s luncheon speech serving up that reminder. Unabashedly, he recounted his own policy successes as leader of Conservative majority governments from 1984 until 1993. As perspicacious friend of mine noted, the coating of dust on Mulroney’s greatest political hits was illuminated by a common characteristic of many international leaders he cited as peers: They’re all dead. In truth, though, many of his governments’ feats were unquestionably nation-building achievements worth re-taking credit for. Even those that weren’t had been smoothly set up by five or more of the classic Irish raconteur’s hairy dog stories and self-deprecating jokes. 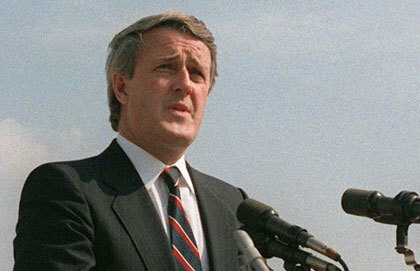 Far more importantly, there was an inescapable moment when the old political pro’s remarks merited acknowledgement, graciously or grudgingly, of the particular greatness of Brian Mulroney’s political vision for Canada. Political leadership, he insisted, is about “building new institutions, not images.” Love or loathe Mulroney, embrace or eviscerate his years as Prime Minister, his commitment to institution building is indisputable. It’s really unrivaled by all but a few of our greatest leaders. Even the ignominious defeats of his Meech Lake and Charlottetown constitutional accords must be recognized as failed efforts in a valiant, politically self-sacrificial attempt to build more equitable and more durable institutions for Canada. Another example makes the case profoundly. In 1989, a year after the Supreme Court’s Morgentaler decision, the Mulroney government introduced legislation to keep abortion in the Criminal Code. The bill was roundly denounced by detractors on all sides of the issue as much-too-much or not-nearly-enough. It died on a tie vote in the Senate. Leaving aside abortion pros and cons, the legislative effort was the last time I can recall ­­– and I do my best to keep track – a federal government so overtly sought to protect the institutional bright line between Parliament and the courts. A few other administrations might have come close. None has matched or exceeded it. Whatever Brian Mulroney believed (or believes) about abortion, his cabinet and caucus demonstrated a sound belief in the institutional role of the Court, yes, but equally in Parliament’s place as the institution in which Canadians will genuinely vest their democratic faith now and for the future. Which, curiously enough, was my only disappointment with his Montreal St. Patrick’s luncheon speech. There was not a word about the SNC-Lavalin scandal, much less a calling to account of the current Prime Minister for the role he appears to have played in it. I do not mean that Mulroney should have teed off with a slew of partisan jibes directed at Justin Trudeau. That would, frankly, have been unbecoming for a former Prime Minister, indeed particularly tacky in the context of the audience to whom he was speaking. I mean, rather, that as a genuine Canadian elder statesman, as our old political pro like no other, he might have publicly reminded the young upstart PM about the institutional integrity of Parliament. He might have mentioned such integrity must always come before the pecuniary concerns of mere corporations. Corporations come. Corporations go. Parliament, like political legacies and the history they form, must first, last and always, endure.